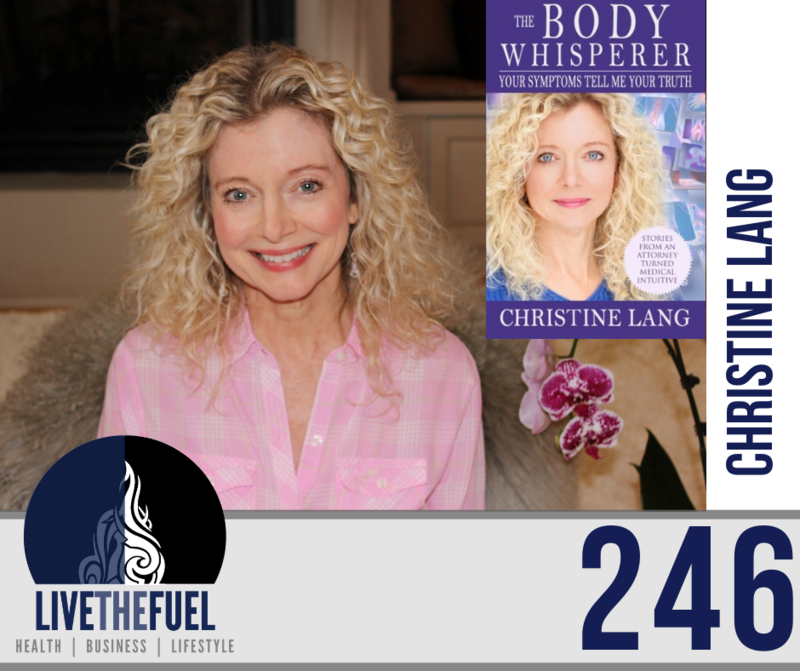 Christine Lang aka The Body Whisperer, is a medical intuitive, with the ability to see a person’s energy and hear her spirit! During private sessions Christine acts as a translator for a person’s spirit, allowing each person to receive guidance on how their body – and their life – got to where it is today. She shares the wisdom that she has learned from the spirit world in her book, her videos, and her new online course. Christine helps us to understand how your physical symptoms are frequent messages from your spirit, guiding you towards better relationships, increased clarity, and complete healing. I would say one of the statements I love is that things are not happening for to you, they’re happening for you. And so if you can kind of take that approach and say, Okay, what is great about this for me, how is this how is this the universe my spirits, you know, the world trying to help me and it flips our heads, we tend to wake up, you know, the Buddhist perspective, you know, it is that everybody is on the “Me Plan”. And from the minute we wake up are like, will this make me feel better? Will this make me happier? Will this make me get what I what I’ve earned and am I getting off the “Me Plan”? I was about acknowledging everything else out there. There’s a perfection to what’s happening. You know, things that are happening, that are assisting you, all of the time assisting you, and getting more self-awareness, being more vulnerable, being more accurate in your self-assessment, and then loving more fully so you can be love more fully. [11:43] I like to connect on Buddhism. Everybody has got different faiths or followings. I believe in respecting and admiring all unless it’s a very negative and destructive one. There is no room for hating or fearing others. I don’t have much use for it. [20:24] What are the thoughts and emotions and old triggers for you that trigger your body to release cortisone that sets off that cascade. Good point for me, it’s coming in at that core level. [33:05] We’re not talking injuries, like sports injuries, because that’s going to be related to stomach ache, but if you think you have like a weak area of the body, that usually clues you in on how you store stress. This also clues you in on some of these same kinds of ideas. [41:00] Science doesn’t care if you believe it or not, it still works on you. [50:30] Can I tell you something? What I’m hearing your spirit say, while you’re telling me that?